Need some ideas on where in Singapore to watch the 2018 World Cup held in Russia? How about 70 ideas??? Scroll down to see the list of places sorted by location. This includes places to watch the World Cup for free (bring your own food and drink), as well as good cafes/pubs/restaurants. Practically every single establishment is having some sort of drinks promo, special dishes and even contests. Click on the blue links to find out more. Make sure you check the screening schedule of the individual locations, as not all the matches might be screened. More people in Singapore are expected to watch the World Cup outside this time round because Russia’s time difference with Singapore is much more favourable. I’ve consulted an “in-house expert” and these have been listed as some of the more popular matches at convenient timings. So if you want to go soak up some World Cup atmosphere, follow this list! The timings below are all noted in Singapore time. Round of 16 schedule is not out yet. And of course not forgetting the quarter-finals, semi finals and Finals on 15 July Sunday 11pm. Or check out the Match Fixtures Schedule in full, so you can choose your favourite matches to watch! Places to watch the World Cup for free! Changi Airport – Terminal 3, Departure Hall North, Public Area (Near Skytrain To T1) as well as several areas in Transit Area. Participate in quizzes and games and win Changi Gift Cards worth up to $5,000. SAFRA Clubs – All SAFRA clubs will be screening ALL matches live! 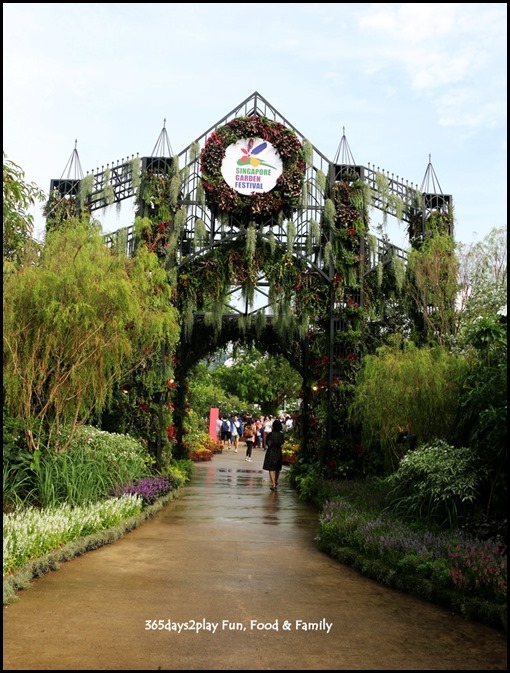 Non-SAFRA members (who are not members’ 2 guests) will have to sit at the non-member area. Pre-event activities include football carnival, lucky draw and fan packs. If you like to dine out often, you’d probably keep an eye out for promotions and discounts offered by your favourite F&B outlets. It’s quite common to find 10%-20% discounts being offered by the various credit cards or membership affiliations (eg Passion Card members), but did you know you can enjoy up to 50% discounts at numerous restaurants? One of my favourite apps to use is the Entertainer App. I’ll be upfront that it costs $95 to get this app, but in return, there are numerous restaurants on the app where you can get a 1-for-1 discount on main dishes. That means, for every 2 mains ordered, the cheaper main dish will be for free! I’ve had the Entertainer App for nearly 5 years now I think. Some years I got sponsored the app for free, but some years I paid for it myself because I see the value, and have enjoyed the savings. There is not a single year where I have not more than made back in savings the original price that I paid for the app. All my friends who bought the app agree that its very easy to dine at a couple of restaurants and earn back the original cost paid. But of course, many other friends did not purchase the Entertainer App. It’s a psychological hurdle that is admittedly very difficult to get over. Spend money upfront? Oh no no no. Again I have to say that whenever it’s time to pay for the Entertainer App, I do hesitate for several days, before I eventually agree that it’s pretty good value. Or put it the other way, if I didn’t buy the app, I’d have to make sure I never dine at any of the gazillion restaurants and cafes on the app, or else I’d be kicking myself wondering why I’m paying full price for my meal when I could have gotten the 1-for-1 discount! We even managed to get a cushy booth seat because off-peak hour! Recently I found out about the Eatigo App. This app is FREE! Actually I found out about it about a year back, but because I was a rather heavy user of the Entertainer App at that time, I forgot about the Eatigo App. I recently used the Eatigo App, and I must say it’s pretty amazing that I managed to enjoy a 50% discount at Wan Hao at Marriott Hotel, with a FREE app! If you know Wan Hao, it is a posh and rather expensive Chinese restaurant to dine at. I’ve always wanted to have dim sum there, but I didn’t want to feel broke after that. 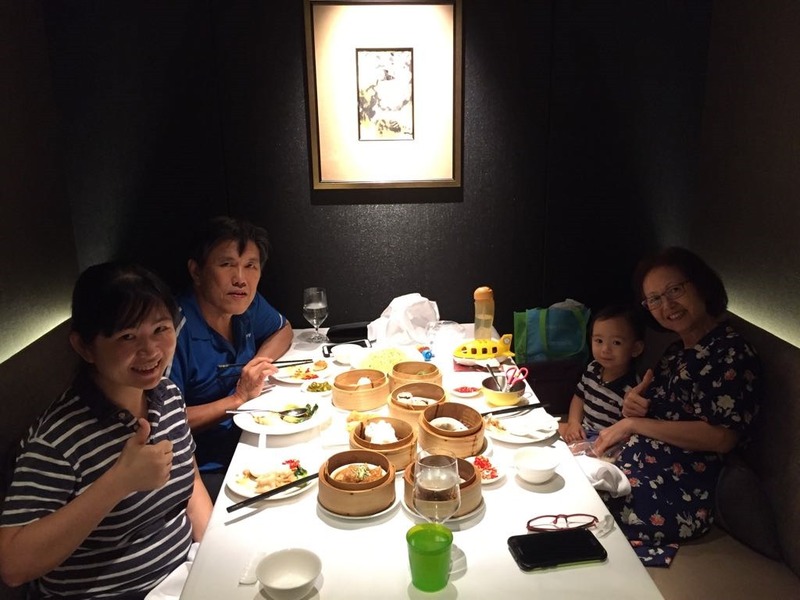 Wan Hao is actually also on the Entertainer App, but the Entertainer App can only be used for main dishes. Dim sum dishes are not considered main dishes. Prior to having Edward, I loved going to the bookshops to browse cookbooks and food magazines. These days, you’ll catch me at the Early Readers section instead. Don’t get me wrong, I would dearly love to have the time to browse cookbooks again, but priorities beckon. 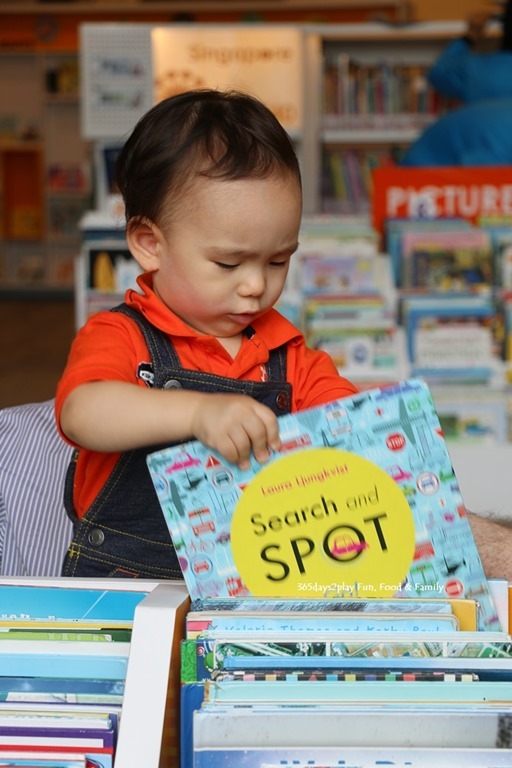 And when it comes to buying books for Edward (who has recently turned 2, another post his 2 year birthday celebrations coming up soon), I never knew that I could be such a shopaholic. I almost think I’m addicted to buying books! You won’t see me buying clothes every time I step into the mall (I am really good at analysing the purchase off), but I could most certainly buy a book or more if I were to enter the book shop. The idea of going to the bookshop and buying something conjures up excited feelings in me. I actually look forward to going to the bookshop, like you would to a cafe or a movie for example. I like bringing Edward to the library too, where we can hoard, I mean borrow more books to read. I’m not sorry to say, but I judge a book by its cover, and pages. That is to say, I tend to borrow books that are still in pretty good condition. Do you blame me for liking things that look new? The thing is, there are thousands of books at the library, all looking very suitable. There’s no way to know which book is good or not, and since no book can be totally bad, why not just borrow the books that are still in relatively mint condition, and cherish the book like an owned one, even if it is for 3 weeks? Anyway, I thought you might like to know what books Edward currently loves. 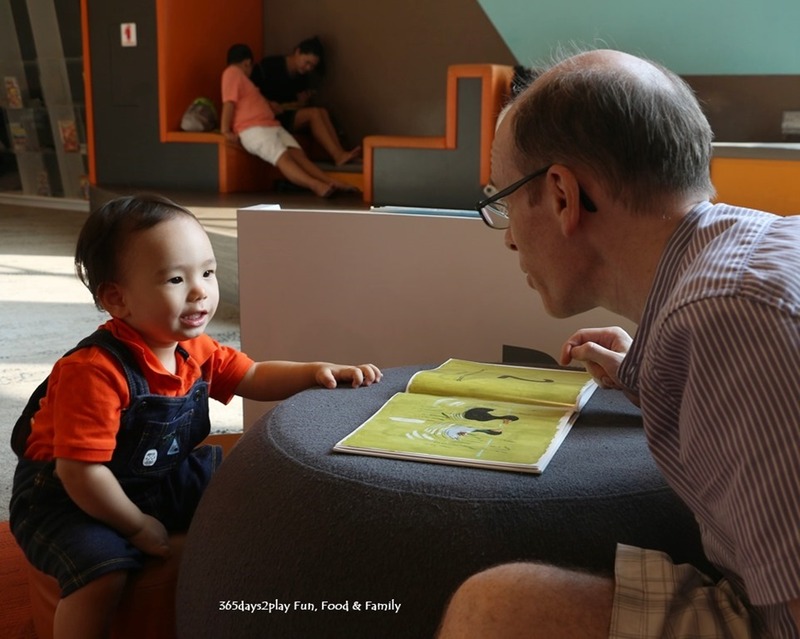 When he was younger, I used to focus a lot on those dictionary type books aka Baby’s first words or Baby’s first 100 words, where there is a picture and one corresponding word. I’ve amassed quite a number over the last 2 years, because these books are relatively cheap and can be gotten for less than $10. In fact, I have quite a number that are less than $5! Now you know why I have so many books. 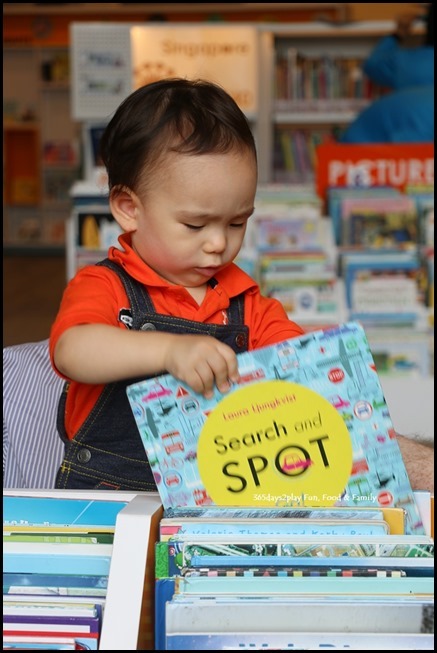 Having fun browsing for his own books….and turning the library upside down. 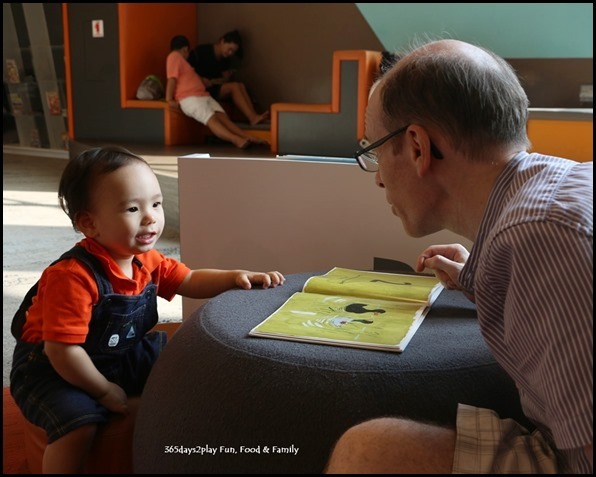 These days, now that Edward is 2 years old, he’s into books that have a lot of sound and rhythm. And also books that have numbers in them. I think he loves the numbers books because he’s very much into numbers these days, and also because its predictable! At their age where everything is new and has to be learnt, I think they feel a sense of achievement to be able to tell what is on the next page of the book! Which reminds me, in our bid to teach them more and more new things, we still need to allocate time for recap!